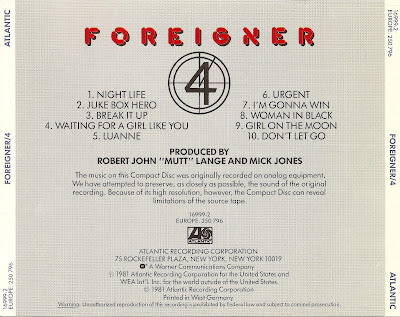 Foreigner are a British/American rock band, originally formed in 1976. 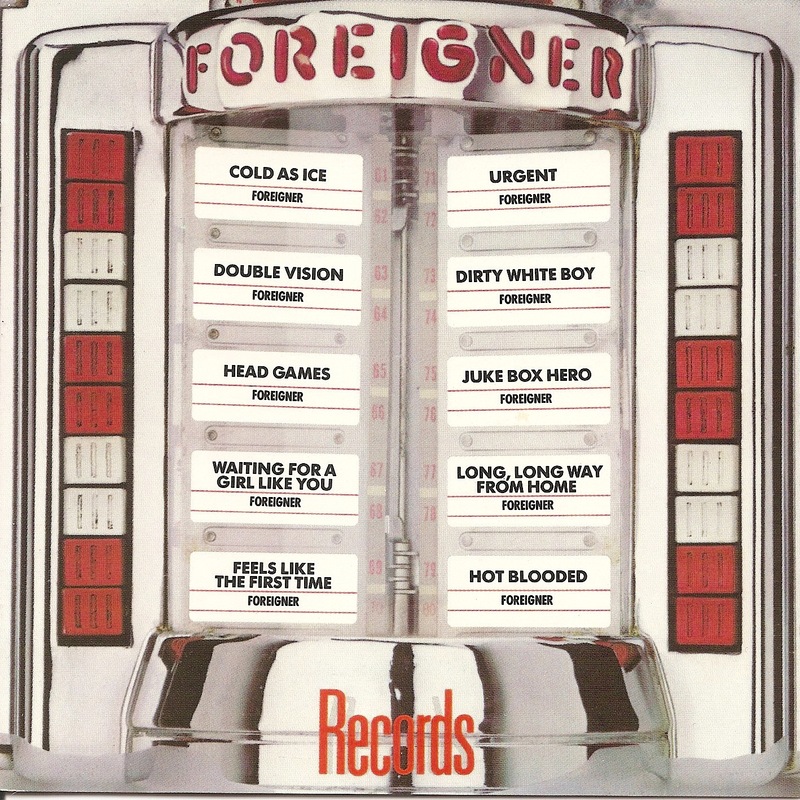 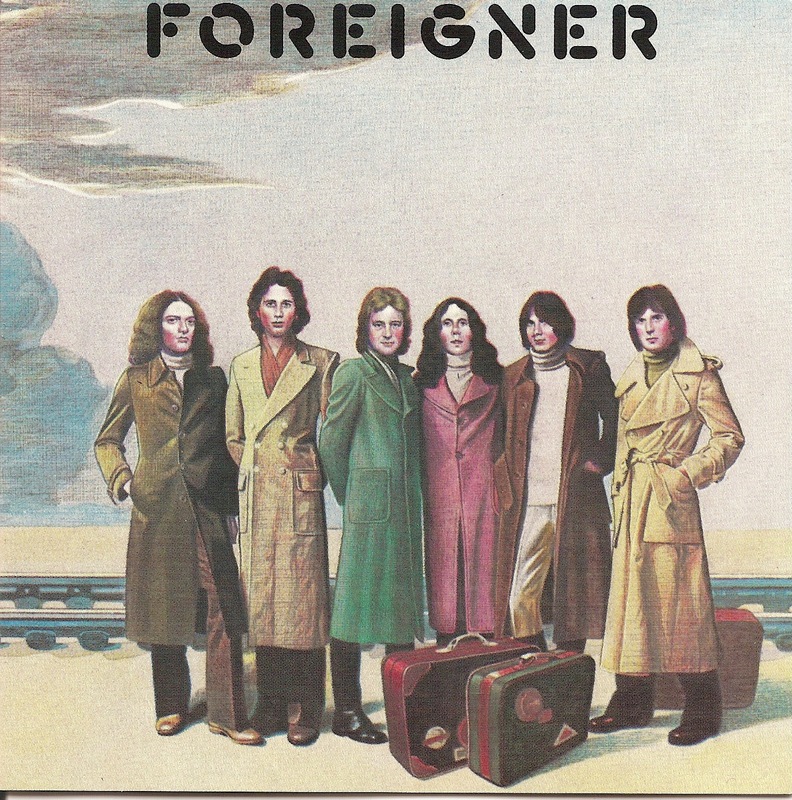 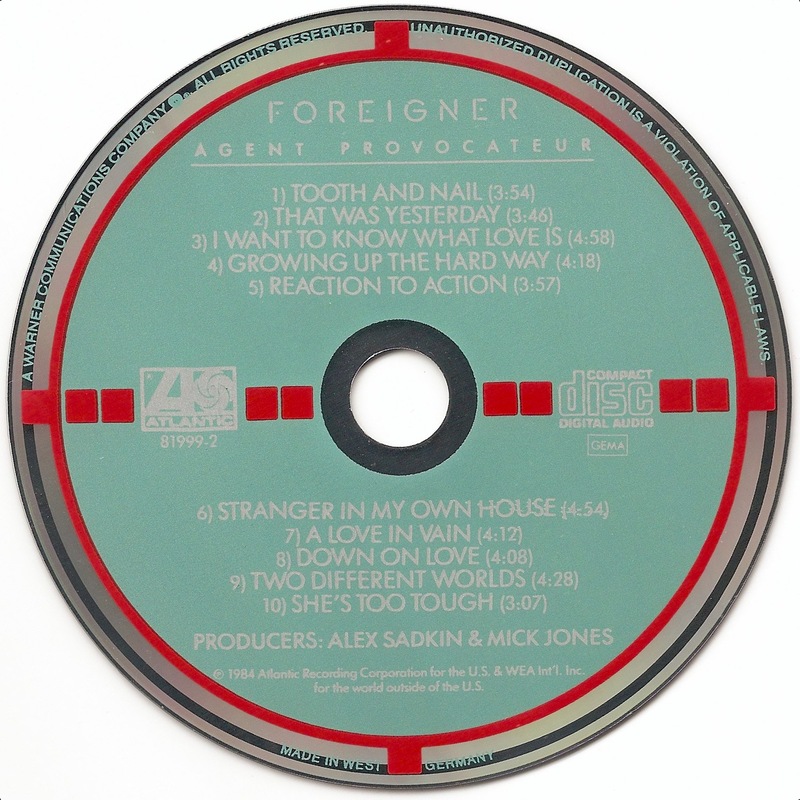 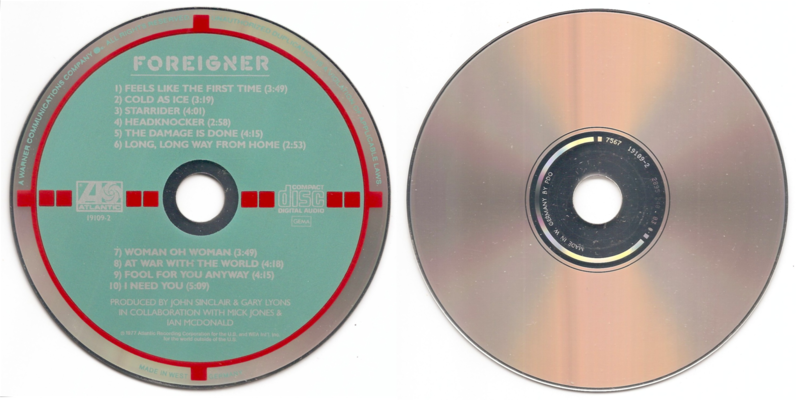 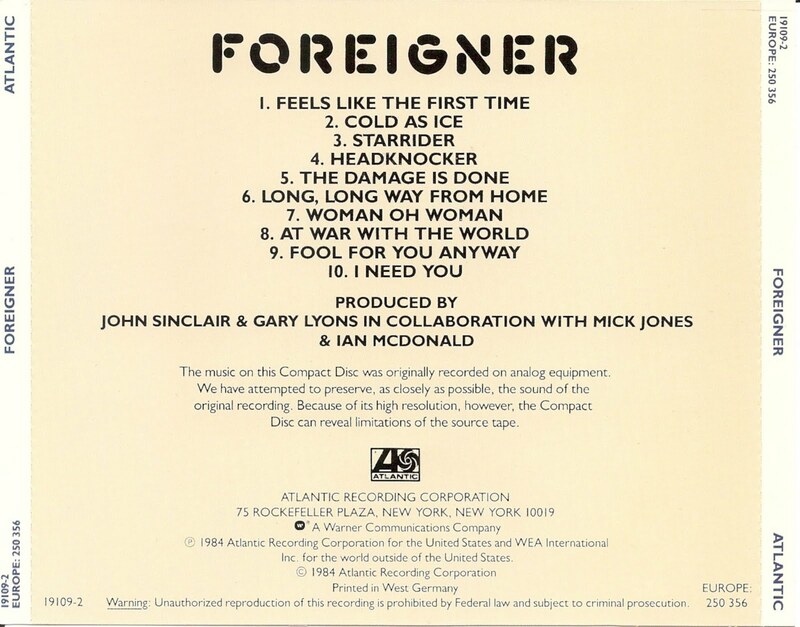 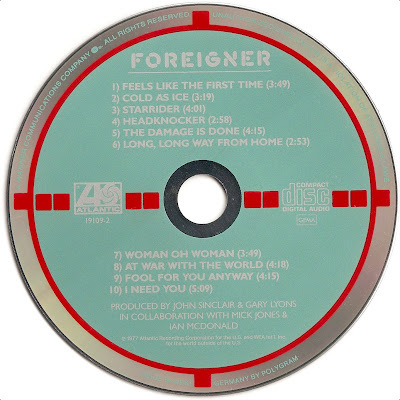 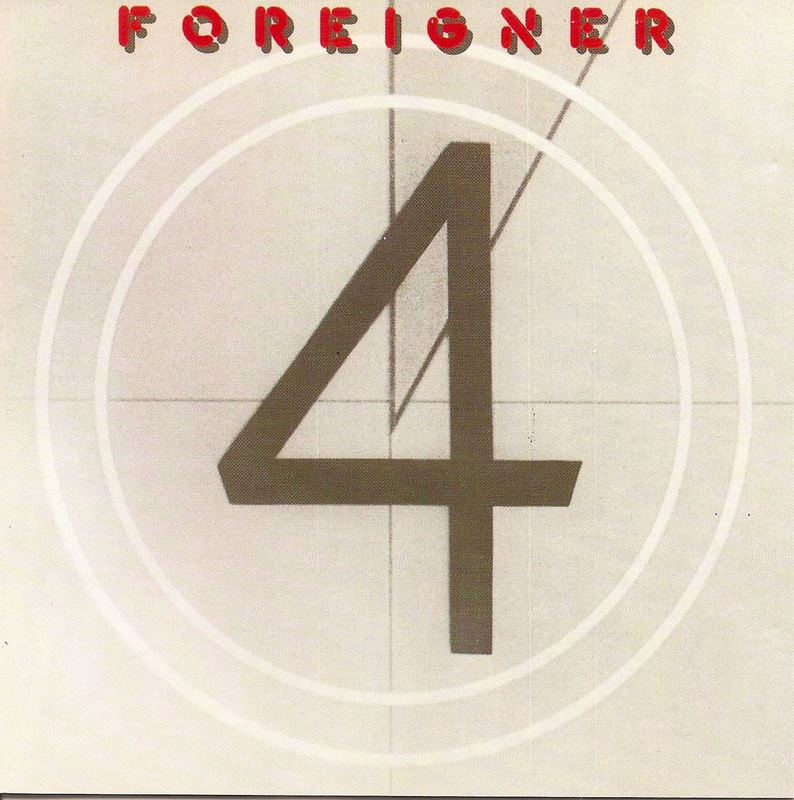 Foreigner is the self-titled debut studio album by rock band Foreigner, released in 1977. 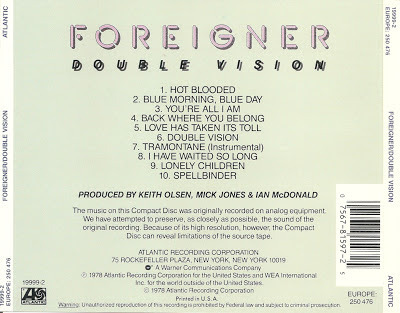 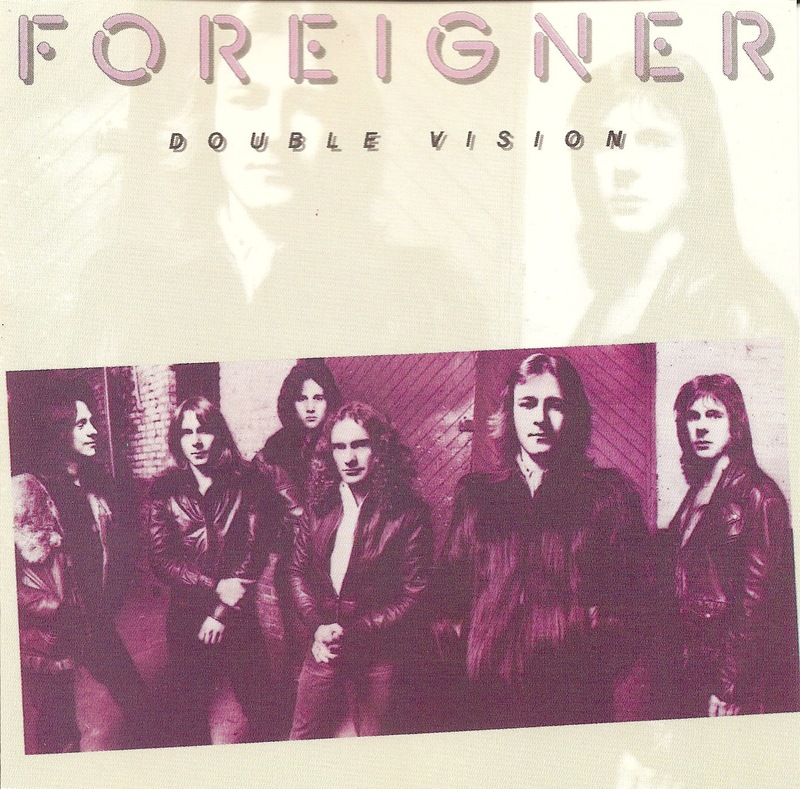 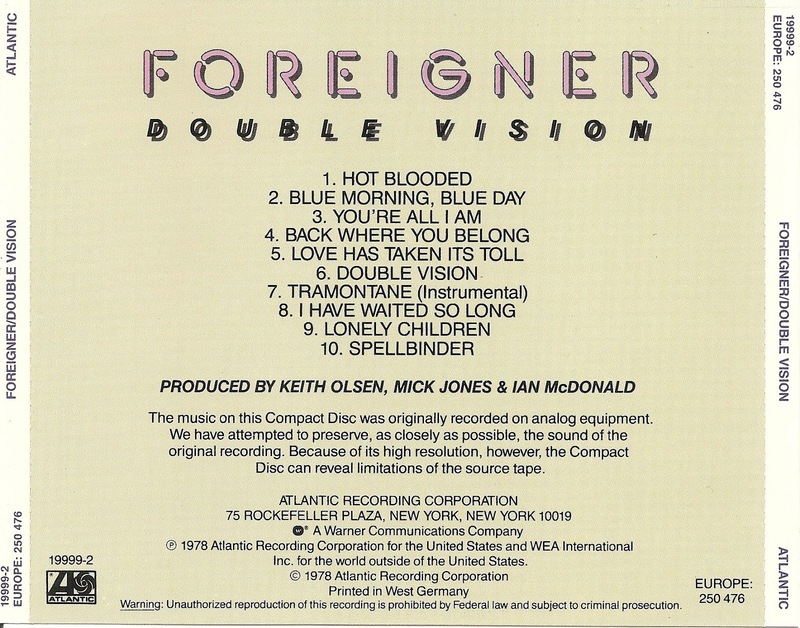 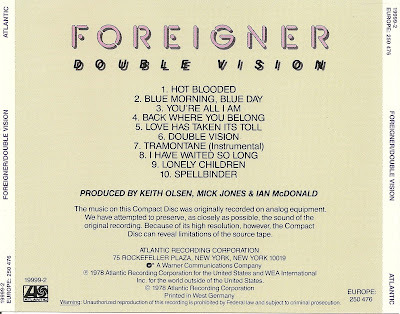 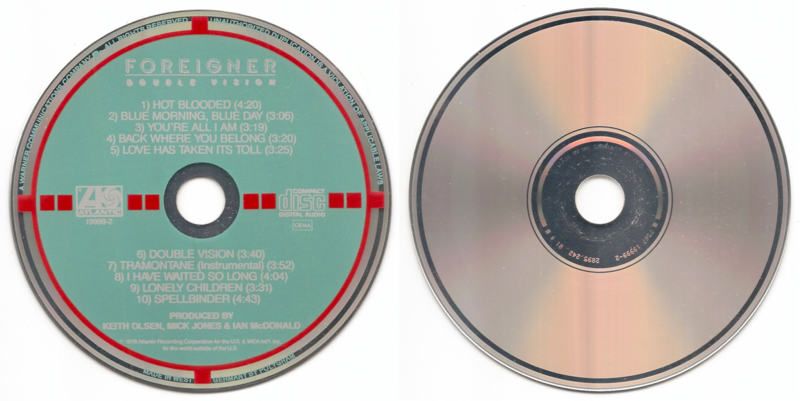 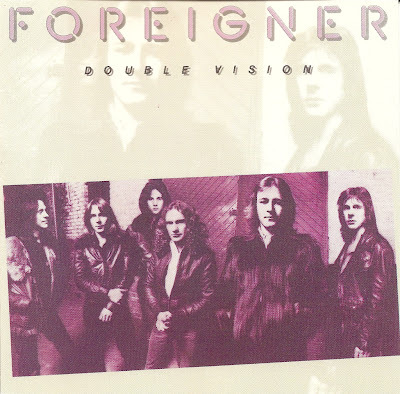 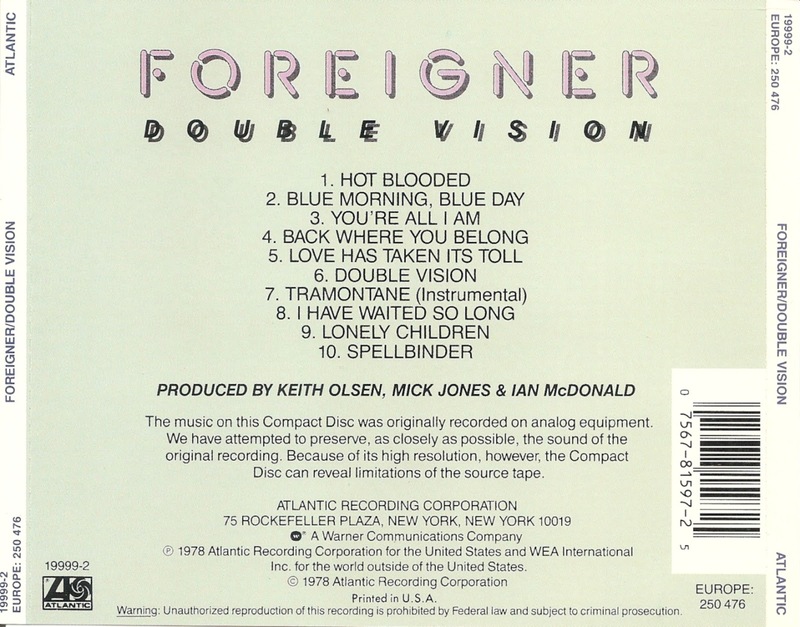 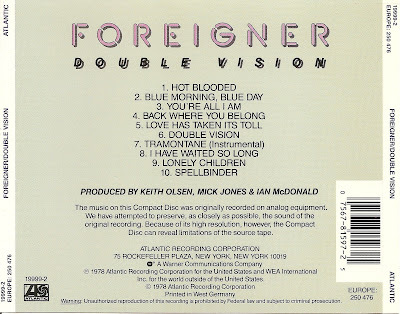 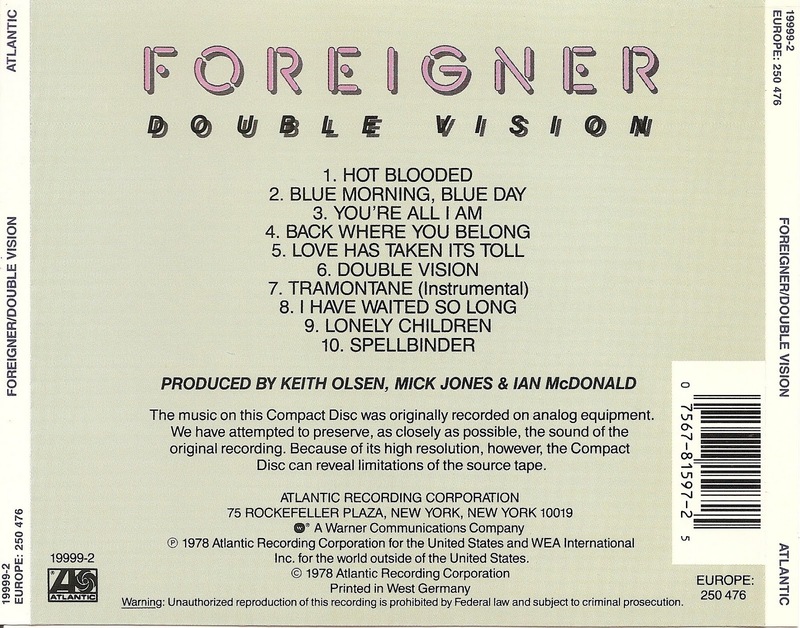 Double Vision is the second studio album by British-American rock band Foreigner, released in 1978. 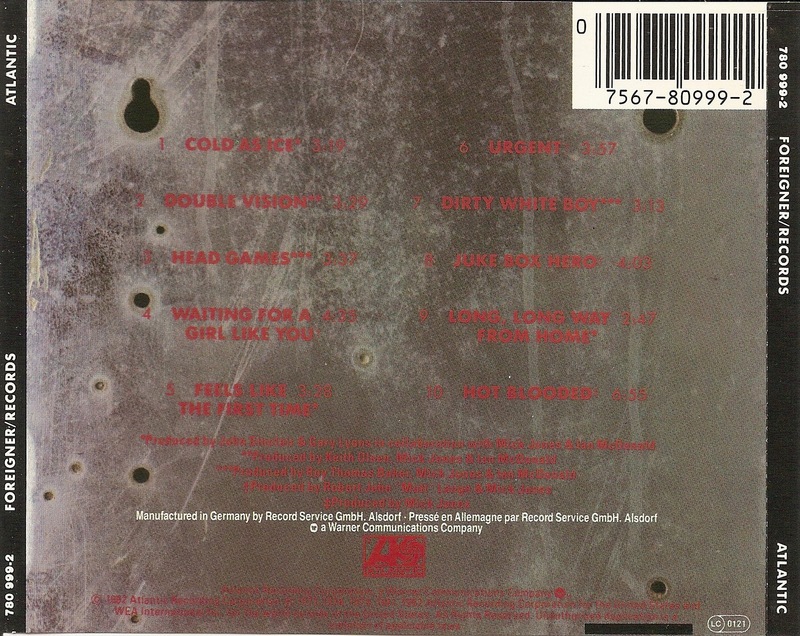 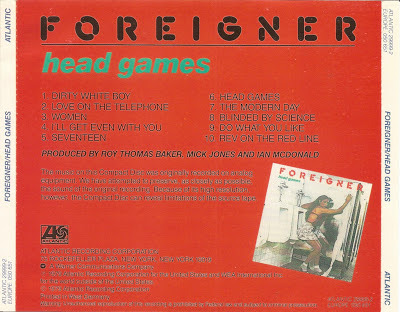 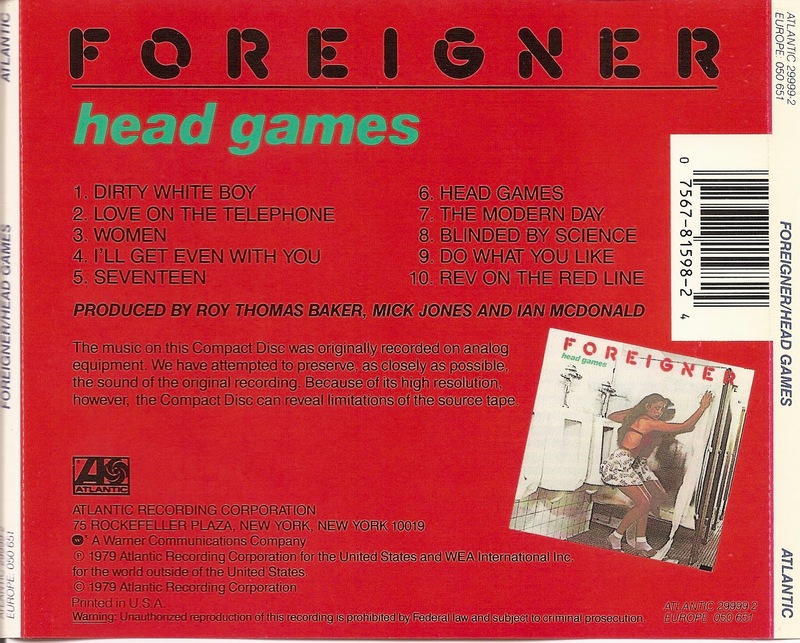 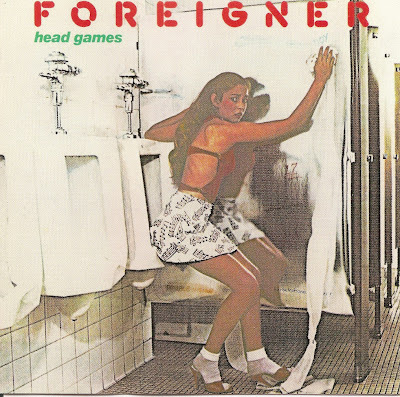 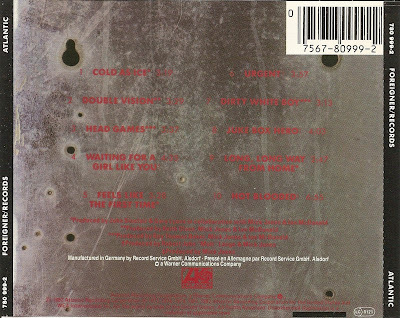 Head Games is the third studio album by Anglo American rock band Foreigner, released in 1979. 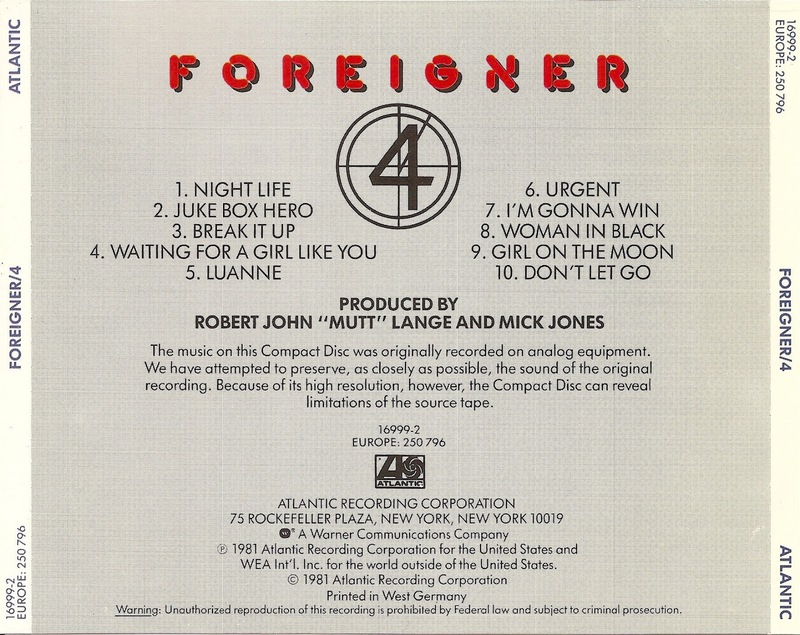 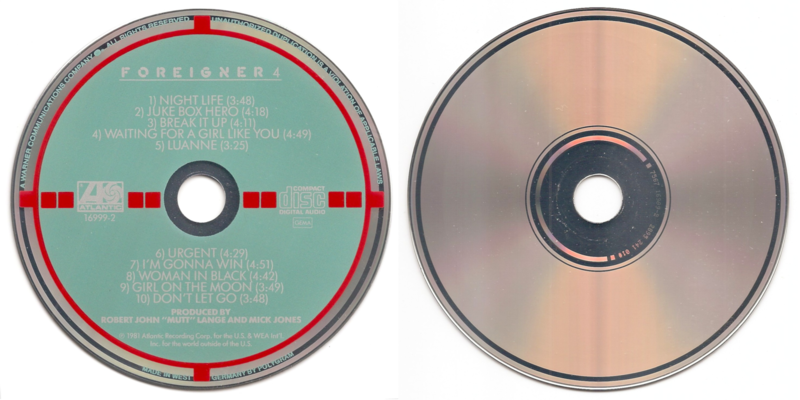 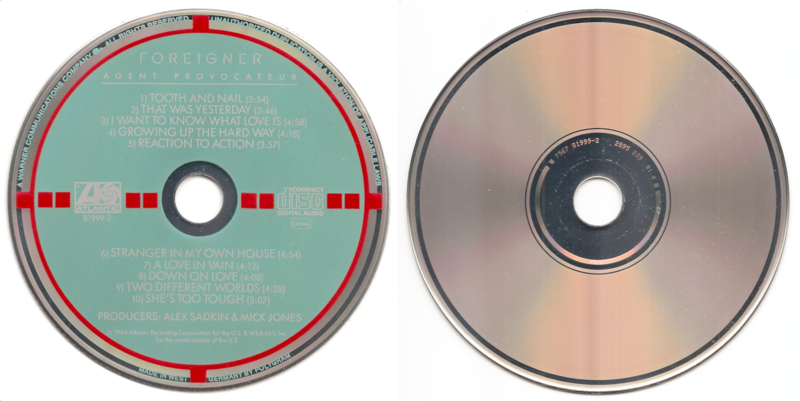 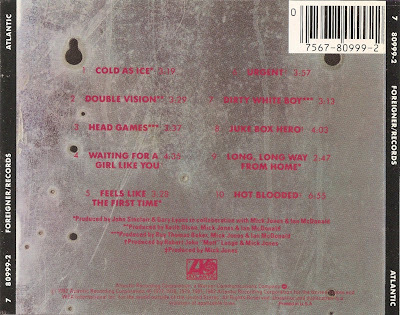 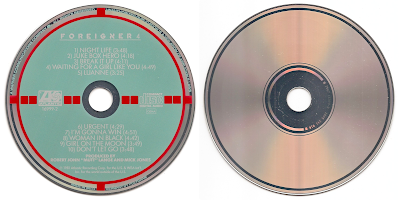 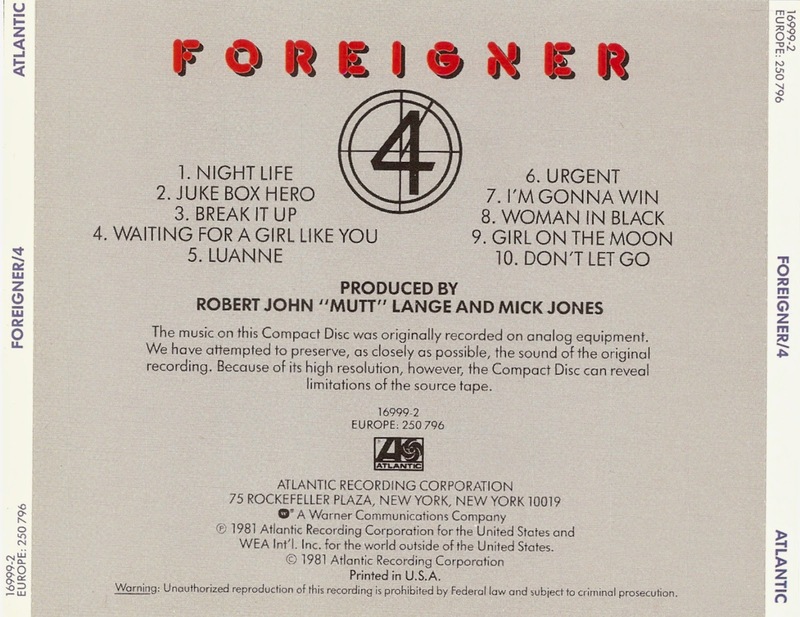 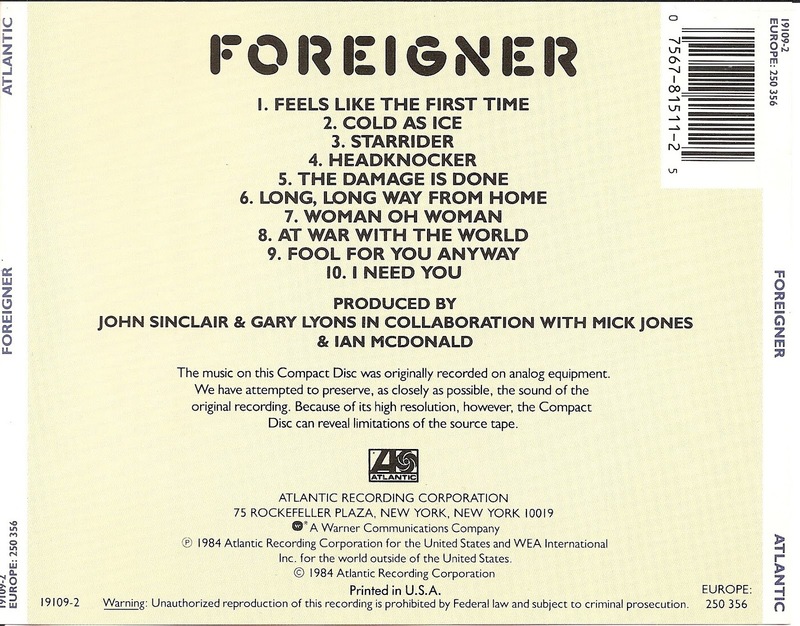 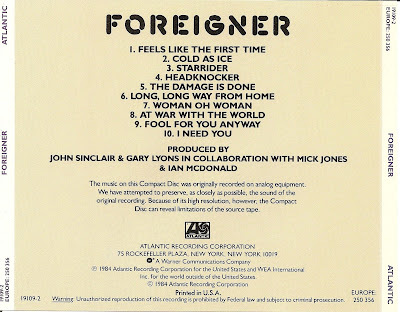 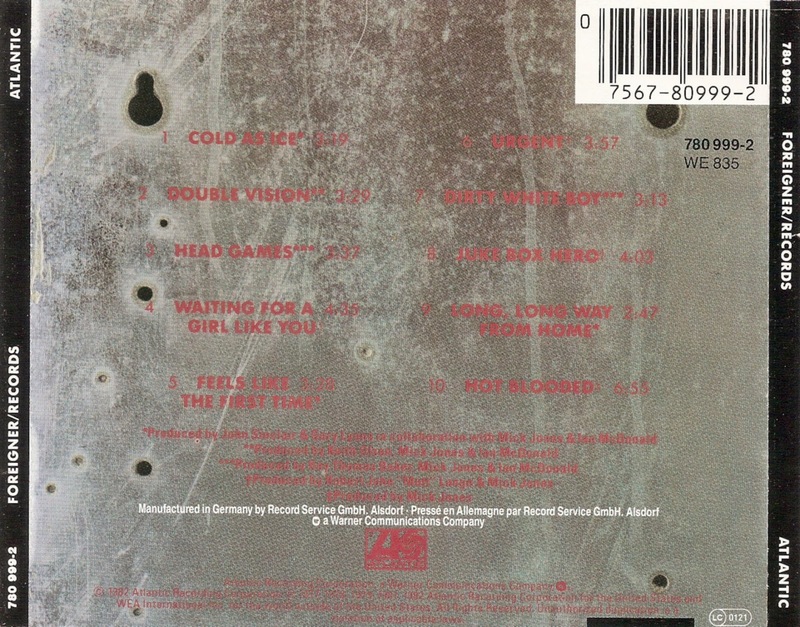 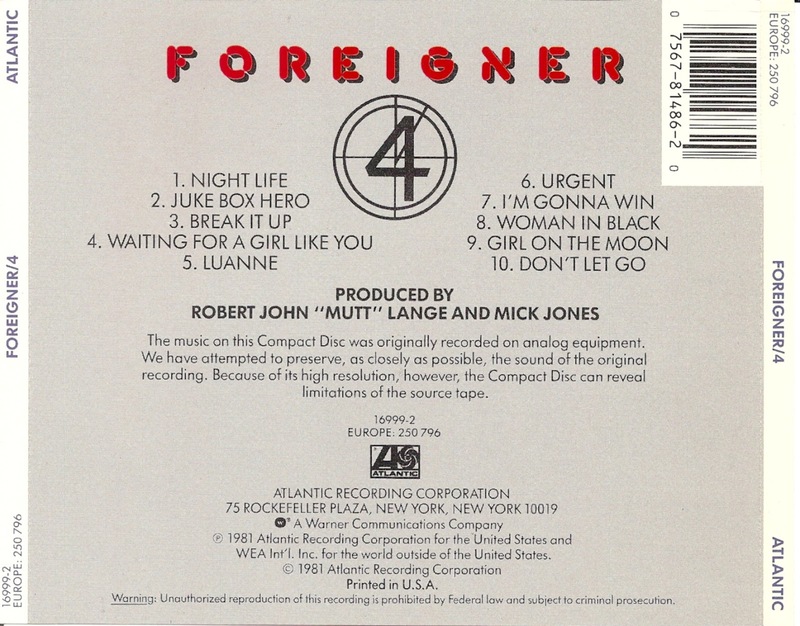 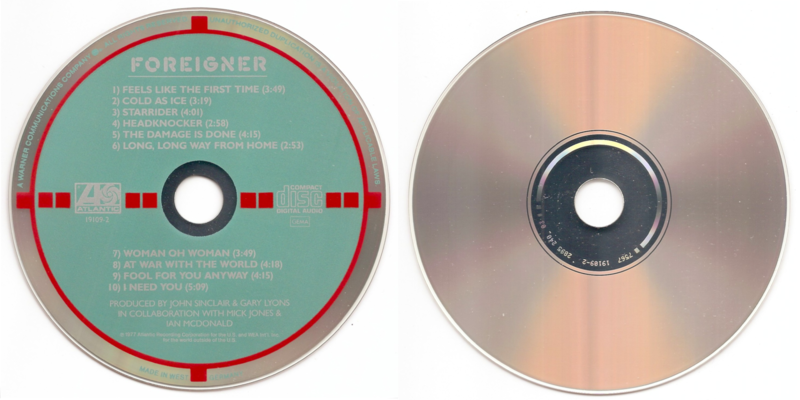 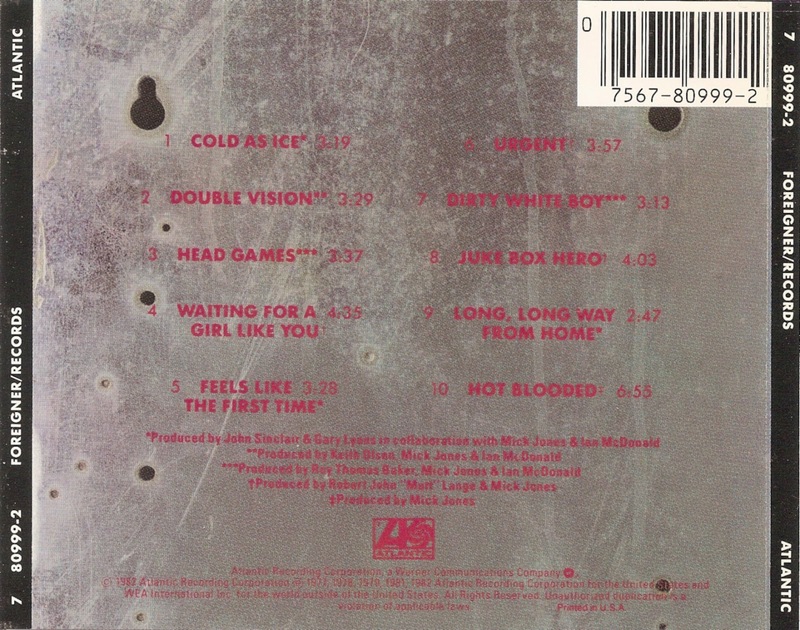 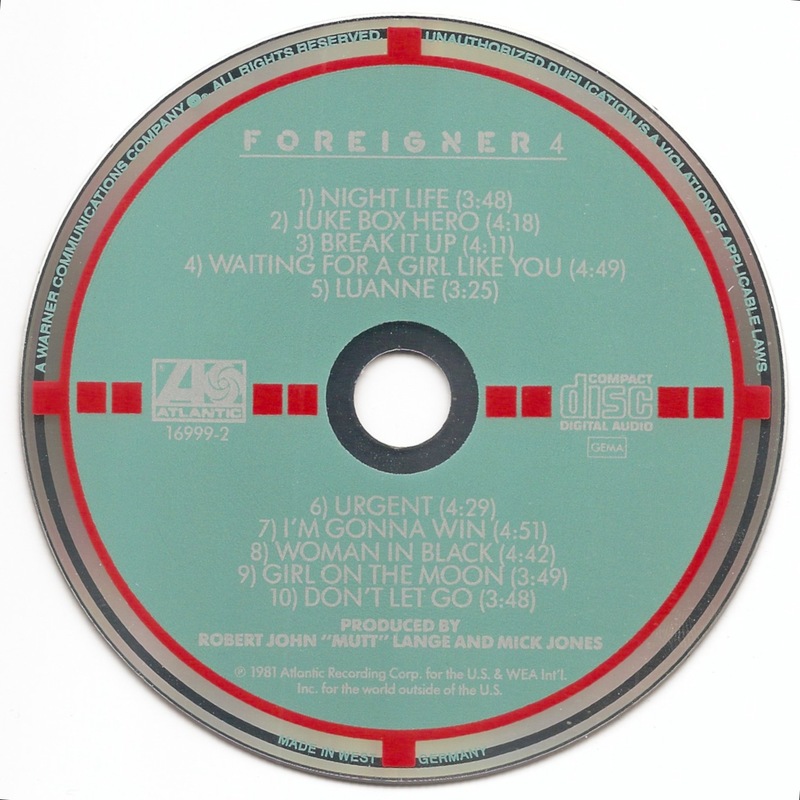 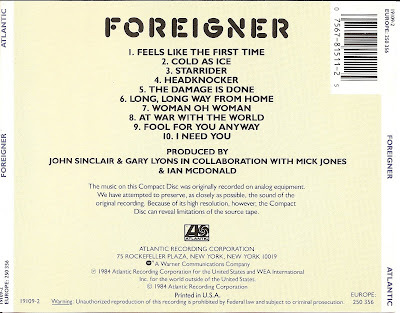 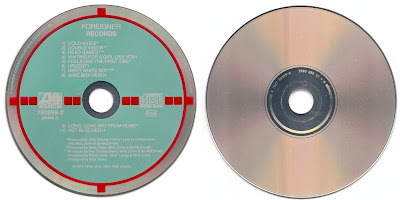 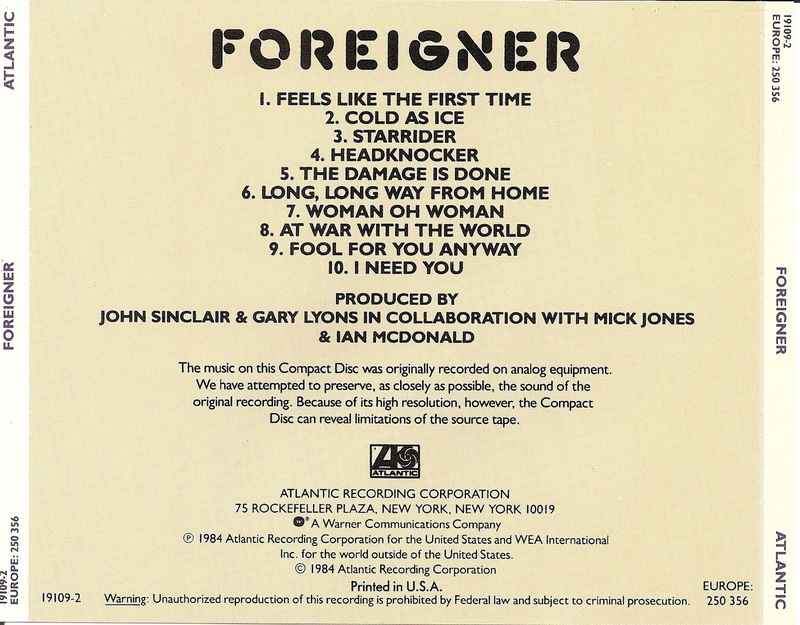 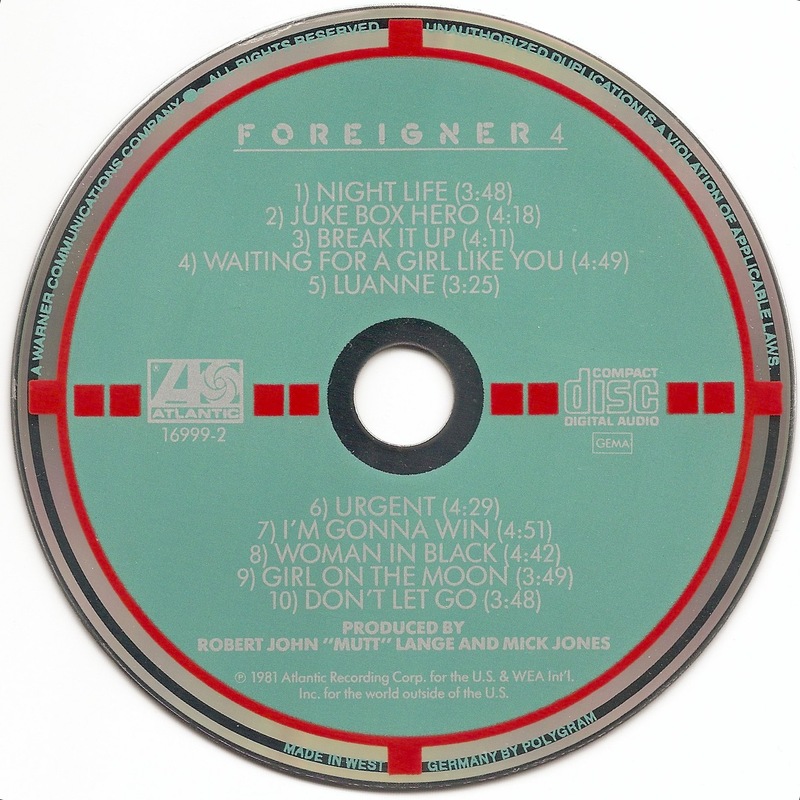 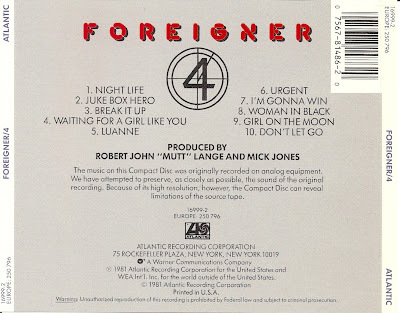 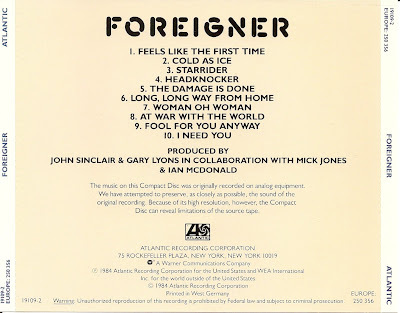 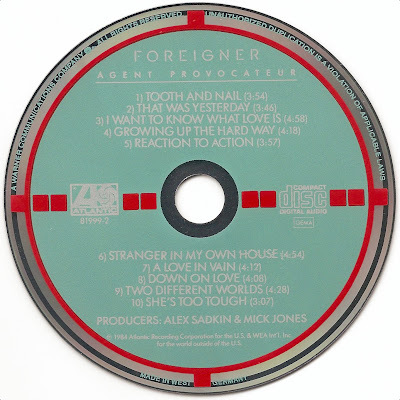 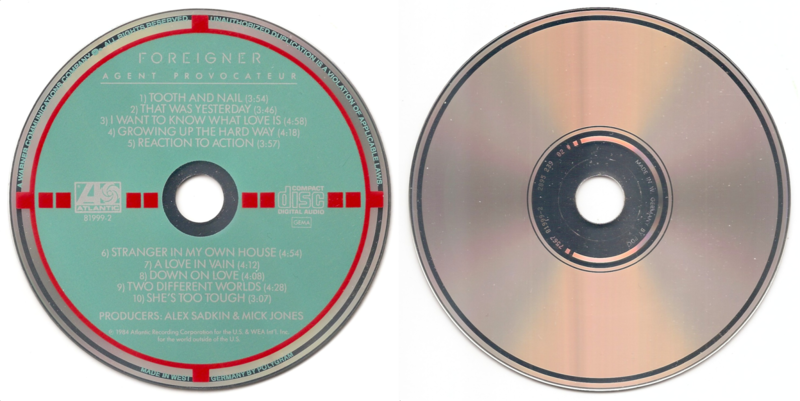 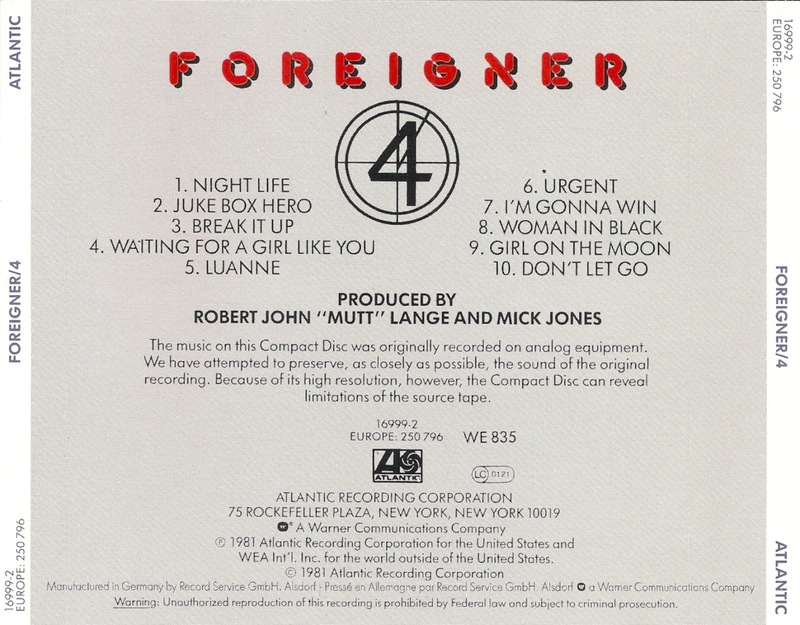 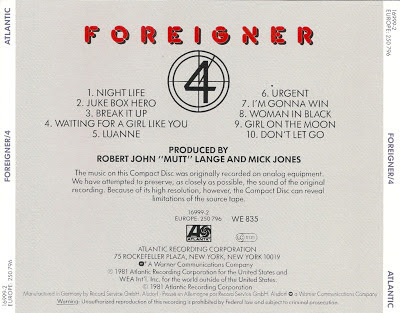 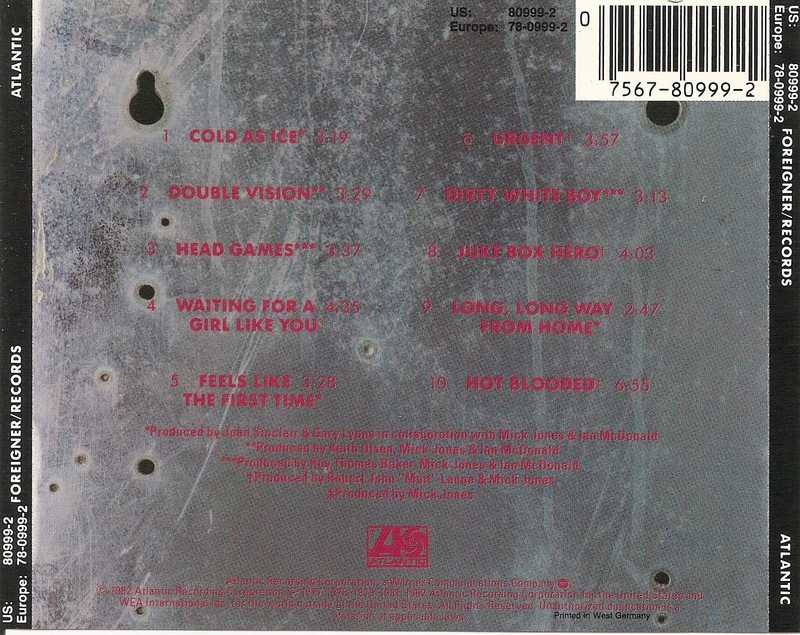 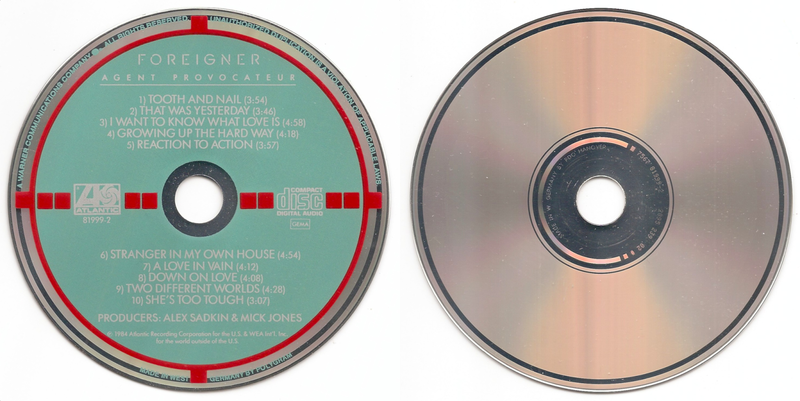 4, also known as Foreigner 4, is the fourth studio album by British-American rock band Foreigner, released in 1981. 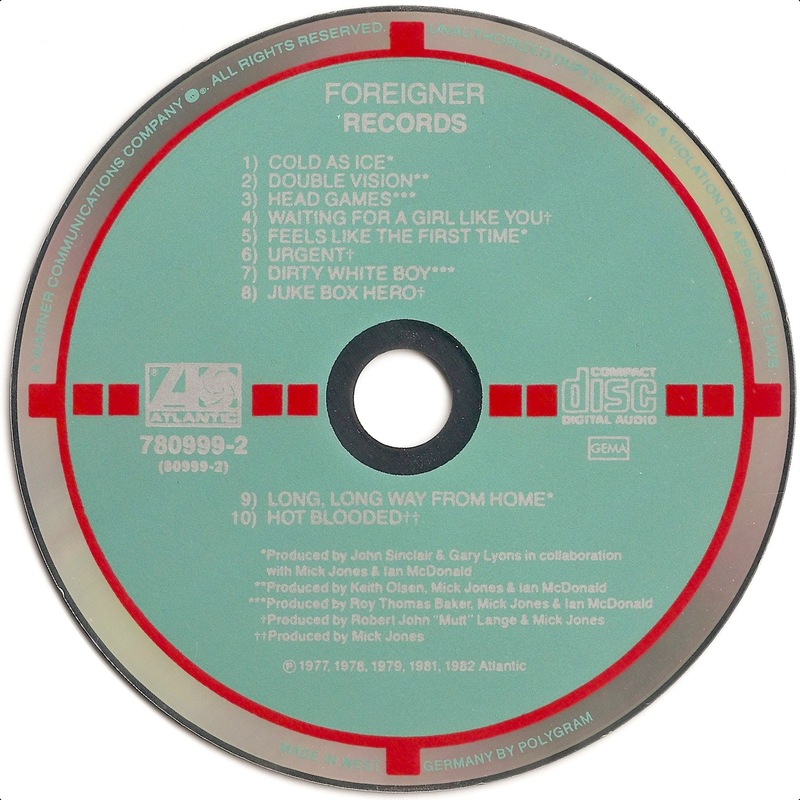 Records is a compilation album by American rock band Foreigner, released in 1982 to span the band's first four albums through 1981. 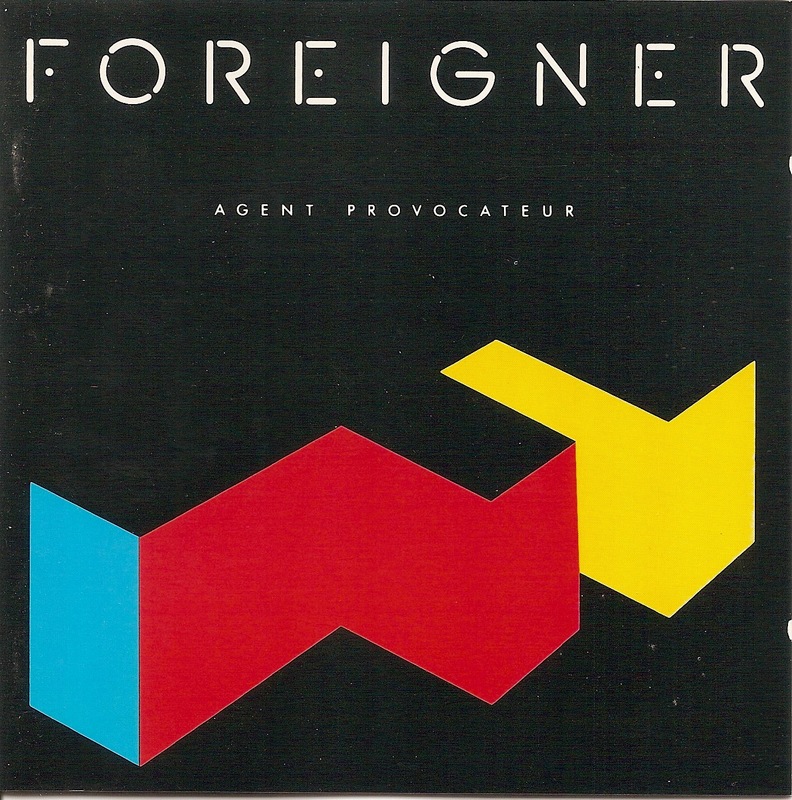 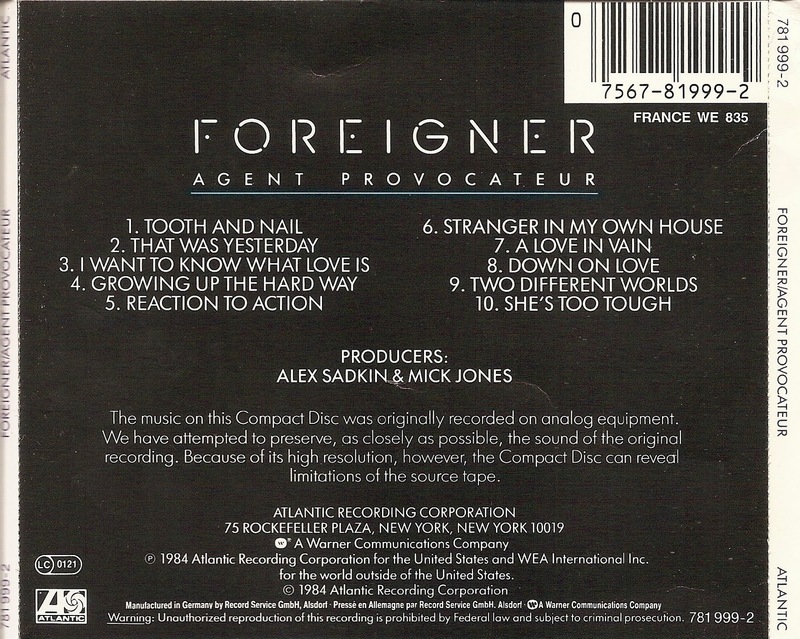 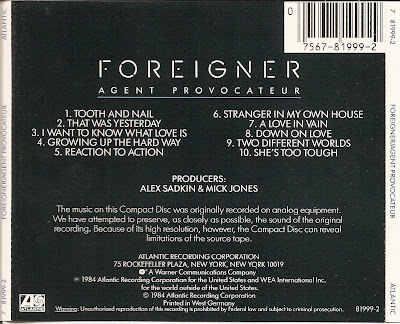 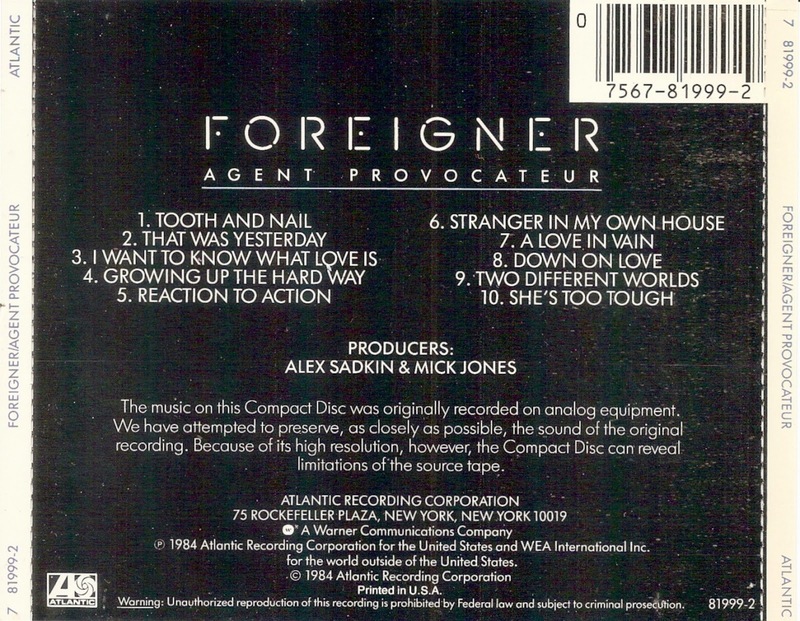 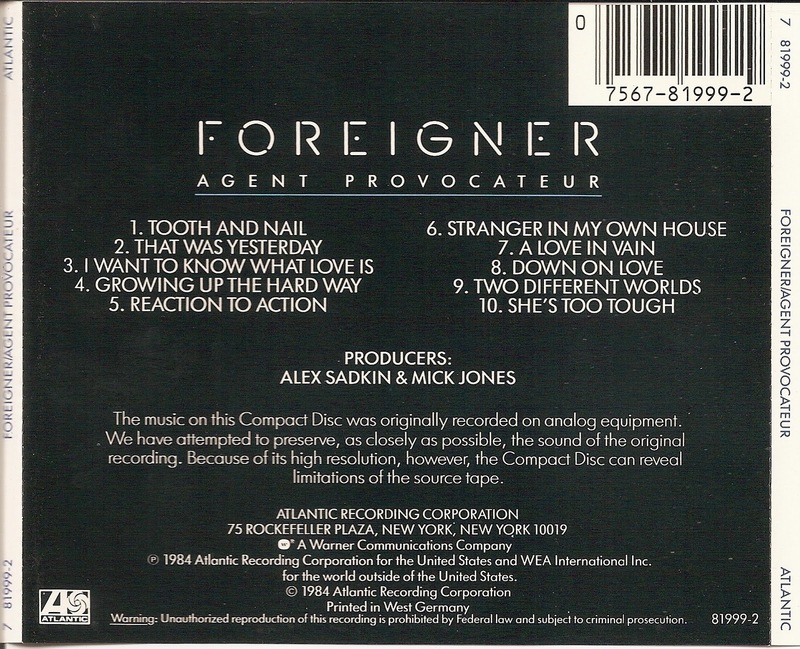 Agent Provocateur is the fifth studio album by American/British rock band Foreigner, released in 1984.